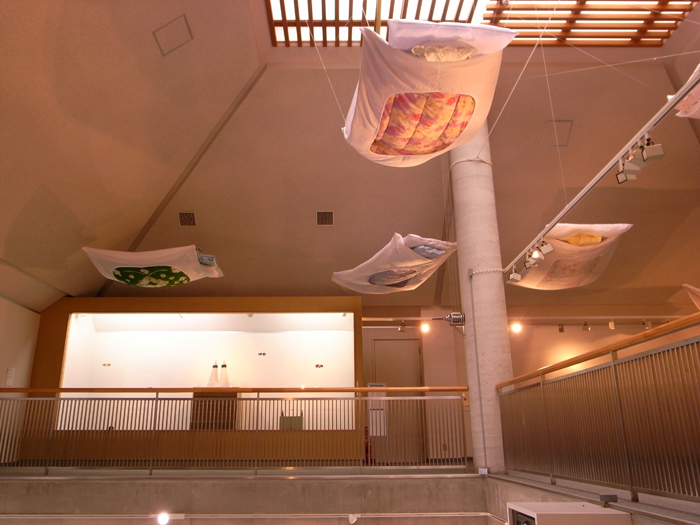 The work series of this project are based on the process as follows. 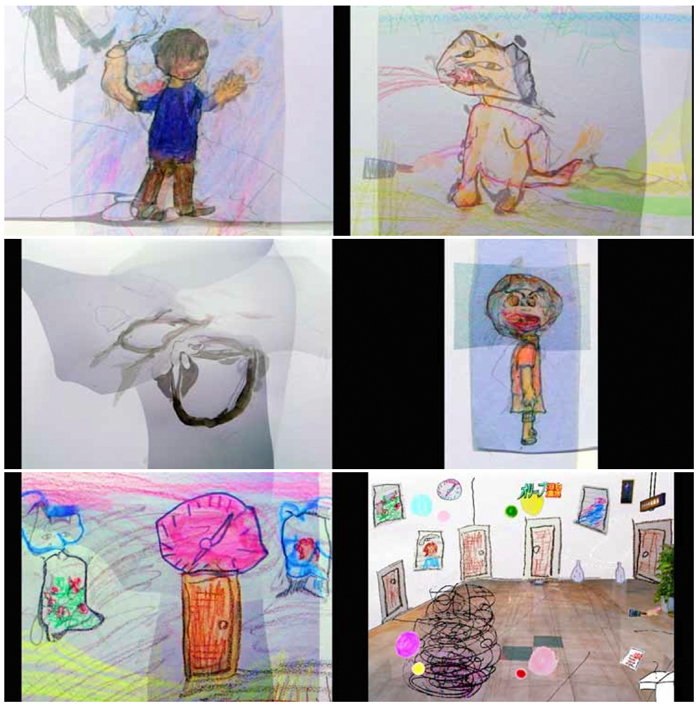 Gathering pictures of dreams, each picture should be dreamed and drawn by people in the island. 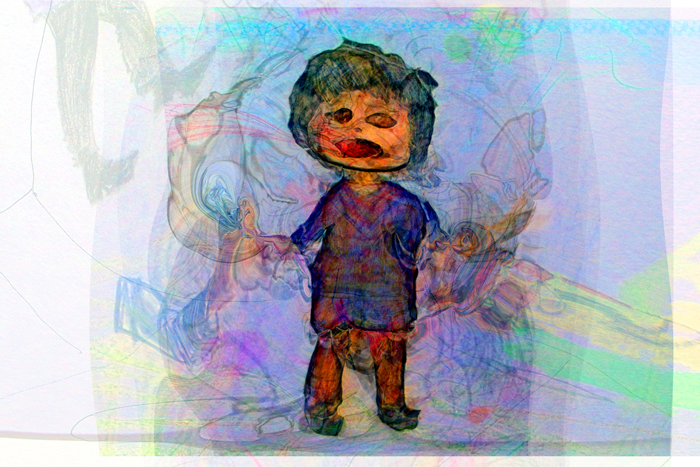 Combining the images of pictures into one figure by morphing technology. Finally, I made a film and a statue “Kesin of Dreams”, as well as an installation with bedding. Morphing is a special effect in computer graphics that changes (or morphs) one image into another through a seamless transition. The word “morphing” comes from Morpheus, the Greek god of dreams. Morpheus means ʺhe who forms, shapes, mouldsʺ. Morpheus has the ability to take any humanʹs form, appear in dreams, and tell the truth to sleeping human softly. The project is an attempt to explore the way to share a dream as well as very personal experience, by combining people’s dreams which have no relation each other into one dream. That will be also the process to give a form to a dream which is never experienced by anyone. In dream, I become you and you become me. 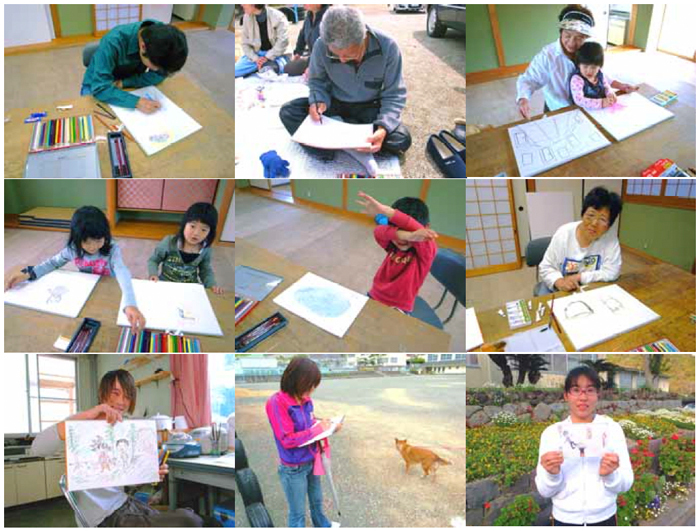 People in Shodoshima who drew picture of their own dream for the project. Collaboration with 16 people. 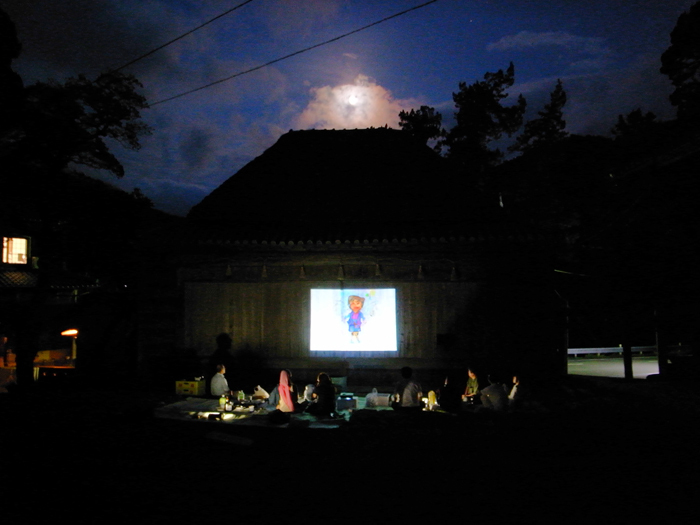 A film work in which recorded the process of morphing combination of 16 pictures of dreams while sleeping, dreamed and drawn by people in Shodoshima. Installation at a park for children in front of residence. 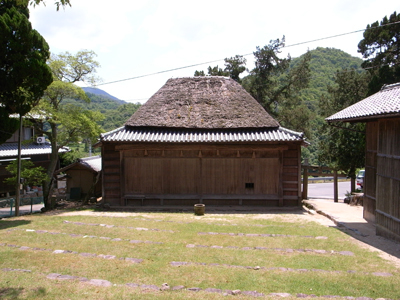 Dozens of beddings were gathering from around the village, and airing in the sun. The picture above is an image from film “Chasing a dream of chase, being pursued by a dream of being pursued”. This is a last figure generated by morphing combination with characters on pictures dreamed and drawn by people in Shodoshima island. 20 human characters and 2 animal characters on pictures were combined into an image of figure above. 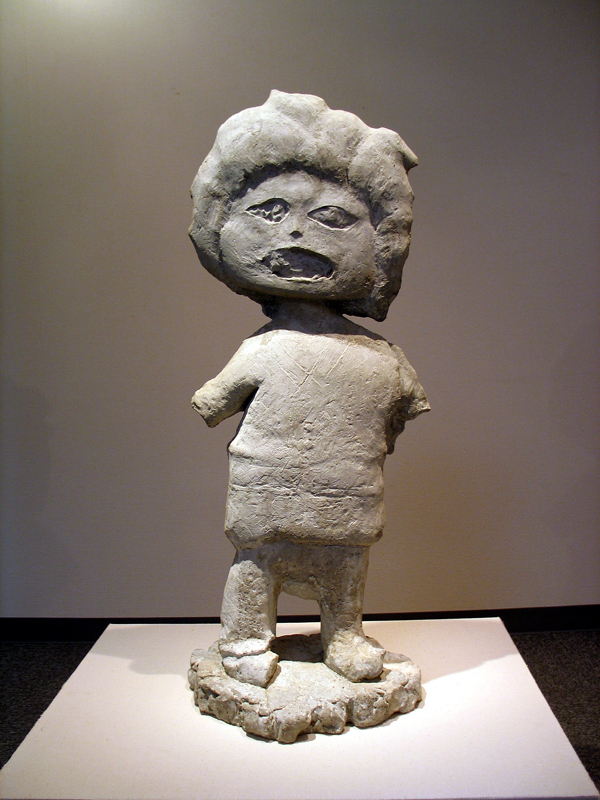 The statue below is a faithful translation from combined image above to three‐dimensional statue. 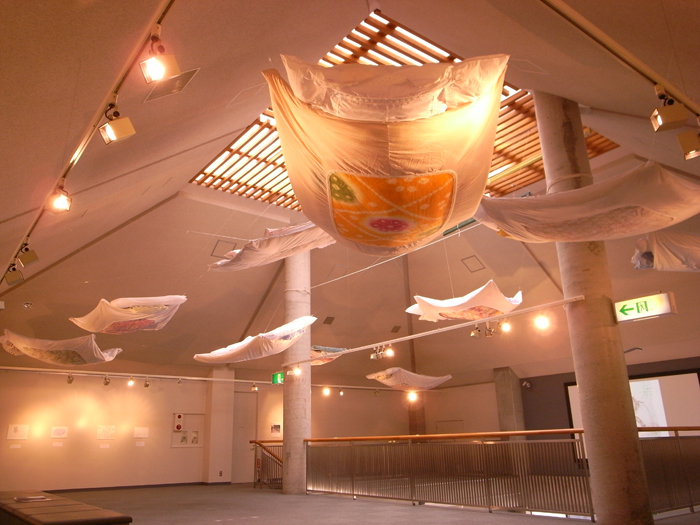 The faint voices which people talking about their dreams while sleeping, is flowing from the pillows put on hanging beddings. The voices were recorded while collecting pictures of dreams. 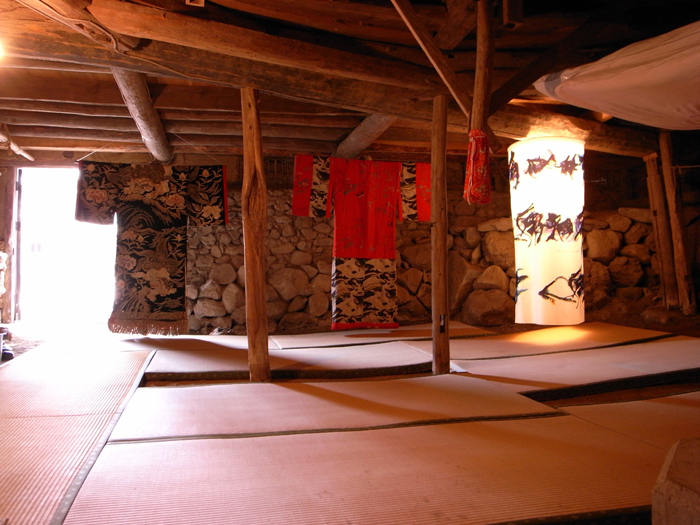 The image of bedding is also a result of being inspired with Futon‐daiko, a traditional festival in Shodoshima. 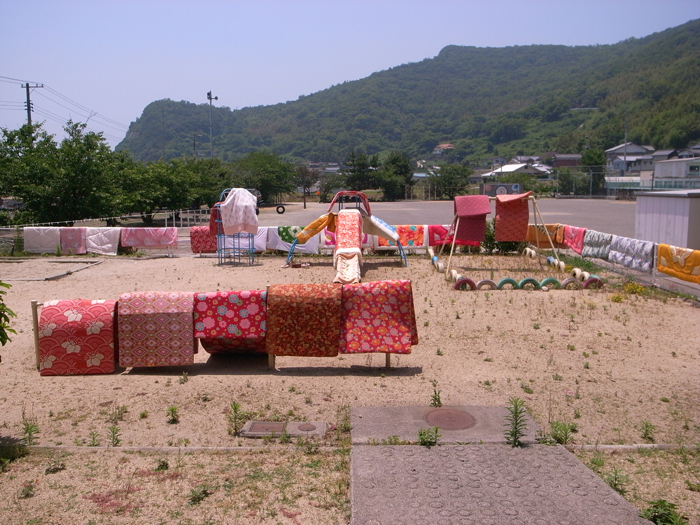 In the festival, imitated bedding is put on a portable shrine on boat. 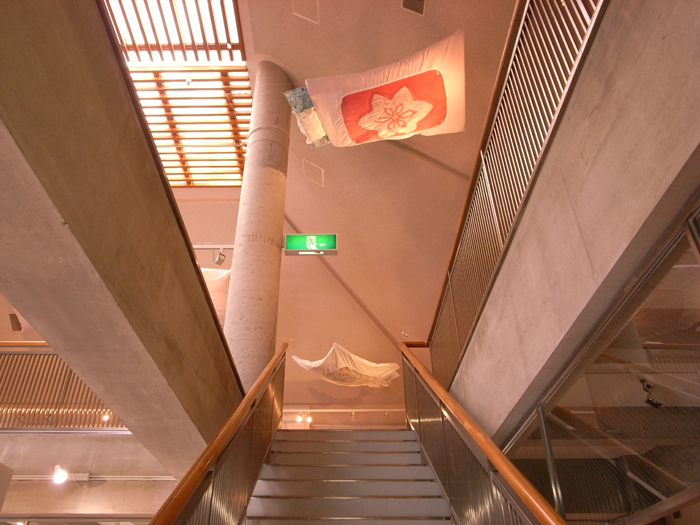 At the last day of the exhibition, film work “Chasing a dream of…” was projected to the stage of playhouse. The playhouse viewed from the grand tier.